...offers good cooling performance, little chance of interference with memory slots, and a PWM fan that turns off at low load. Keeping within budget when speccing-up your next self-build can be a complex task, and it's a balancing act as you decide which components to prioritise at the expense of others. If you're needing to free up funds for, say, a bigger SSD or a faster graphics card, you could perhaps choose a cheap-and-cheerful CPU cooler that hits the right notes without breaking the bank. Fitting that description to a tee, Arctic's Freezer i32 is a sensible choice at around £25. Well-built, well-sized and well-thought-out, it offers good cooling performance, little chance of interference with memory slots and a PWM fan that turns off at low load. Whether you'll hear the benefit of an idle CPU fan in most systems is up for debate, but it's an interesting development for quiet-computing aficionados, and when you factor in the six-year warranty you come to the conclusion that there is very little wrong with the Freezer i32. The Arctic Freezer i32 semi-passive CPU cooler is available to purchase from Amazon. With some experience with AF I can say two things: 1. Not much changed. Same kind of performance in the same package with dirt cheap price tag. 2. Intel should used those as OEM coolers long time ago. Nice review, just a pity we get ripped when it comes to new products because it is not dirt cheap here, in fact it is the opposite. Checked out the prices here in Australia and the cheapest that I could find is almost $100 (perorder at the moment from only 2 shops). Personally I don't think it is worth it for that much - for example - Cooler Master's Hyper 212X is only about $55 and the Noctua NH-D15 is a bit more for $125. But a even better choice would be a Deepcool Gamer Storm Maelstrom 240 for $99 (all these prices are quoted from the same shop to keep it relative). I think for the same amount, the Deepcool would be my choice (the best value for money, as long as it fits your chassis). 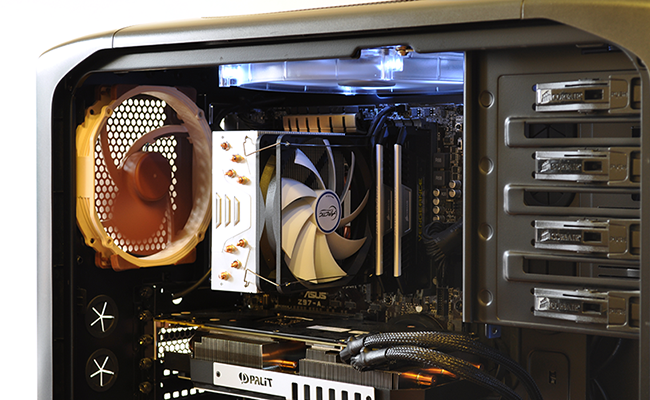 Plus there are other AIO's that are as cheap or cheaper (9 other 120 and 140 versions for between $65 and $99). Besides the no load passive fan set up, it's only other big plus is the warranty period - 6 years is good to see. They should all be this long. What do you think and am I right? Does it make any sense that this cooler is only 2 degrees worse than the D15 with one fan? It is sad to see a review using a non Devil's Canyon CPU almost a year and a half after Intel admitted to the TIM problem with the 4xxx series CPU's. This TIM problem makes almost all coolers perform the same, making this review worthless. Well I been using different versions of AF for years on my overclocked systems…still don't like the mounting system so use a nut and bolt, h'mm maybe not the best idea for everyone though with some on the Intel chips bending.